Decades, the classic television digital specialty network (or diginet) announced in Ocober 2014 officially launches today — Memorial Day — after a soft-launch in January that included complete or nearly-complete marathons of more than 40 different TV shows including including F Troop, The Fugitive, The Doris Day Show, The Donna Reed Show, I Love Lucy, and Love, American Style. 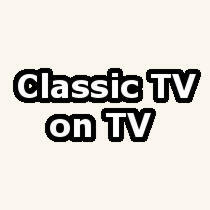 Unlike competing classic TV diginets Me-TV, Cozi TV, or Antenna TV, Decades will not feature a set weekly schedule. Instead, each weekday will focus on the “news events and cultural touchstones of a specific day, week or other time frame or theme” and feature a six-hour repeating block of TV shows. That explains how an entire day can be dedicate to a single theme. It’s not the entire day: just six hours. Today’s theme is not surprisingly the Memorial Day holiday and will include episodes of The Rat Patrol and Hogan’s Heroes, plus the film Hair. Decades will also feature an original series called Through the Decades (originally titled Decades Retrospecticalsm) hosted by Bill Kurtis, which will premiere at 7AM ET to kick of the first six-hour block of Decades programming. The block will repeat at 1PM, 7PM, and 1AM. On weekends, Decades will feature marathons of individual shows, with The Mary Tyler Moore on May 30th/31st and The Beverly Hillbillies on June 6th/7th. The official Decades website can be found here. A list of affiliates can be found at Wikipedia. On the weekends they have something called “DECADES BINGE” Where they pick a random show and show two seasons worth of episodes back to back in broadcast order during the entire weekend.